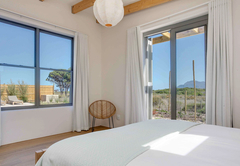 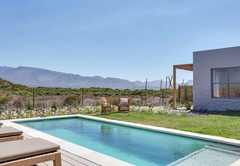 Klein Slangkop Beach House is a property providing self catering in Kommetjie for up to 8 guests visiting the Atlantic Seaboard region. 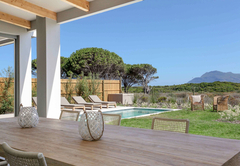 Klein Slangkop Beach House is as the name suggests, situated in the Klein Slangkop Security Estate. 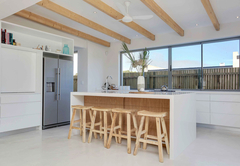 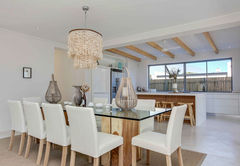 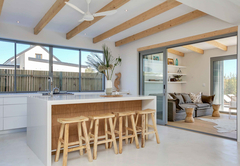 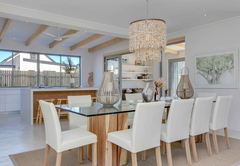 This newly built beach house is light, modern and airy and has everything you could possibly want in a home away from home. 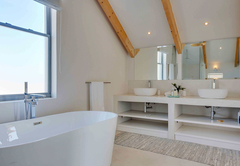 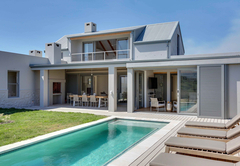 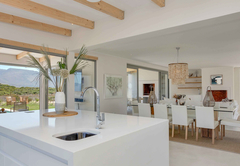 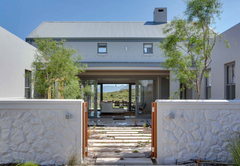 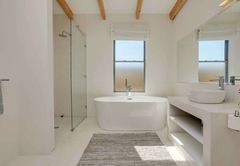 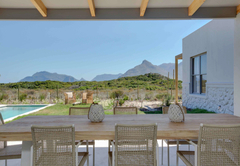 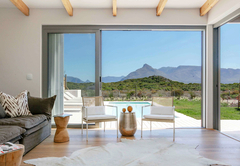 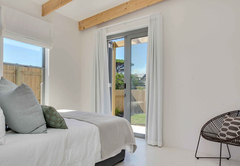 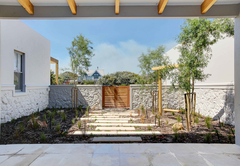 Klein Slangkop Beach House sleeps eight guests in five bedrooms. 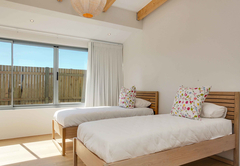 Bedrooms one and two are situated downstairs and are furnished with twin beds and a double bed respectively. 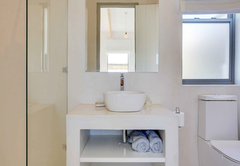 These rooms share a full bathroom. 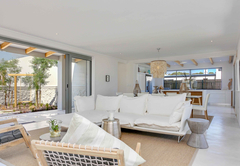 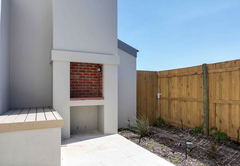 Also downstairs is a guest suite which has a separate entrance from the courtyard. 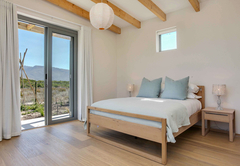 The room is furnished with a double bed and has an en-suite bathroom with a shower. 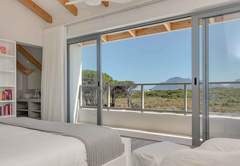 The main bedroom is upstairs and is furnished with a King-size bed and has a full en-suite bathroom. 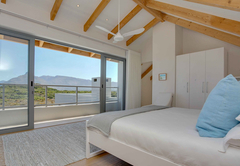 The room boasts a small balcony. 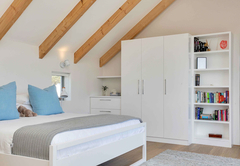 The fifth bedroom is at the back of the house and has a single bed and en-suite bathroom. 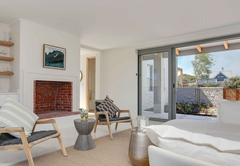 The house has a lounge with a small bar and fireplace. 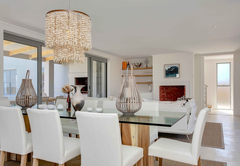 This room leads into the dining area which in turn leads into the modern kitchen. 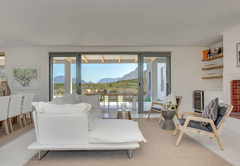 The kitchen is well equipped for self-catering and includes a separate scullery with ice machine, washing machine, tumble dryer and dishwasher. 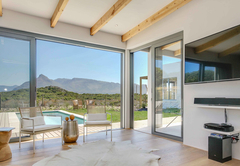 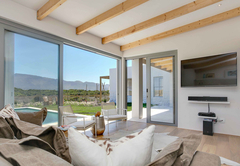 The TV area, which can be closed off by glass sliding doors, also opens to the pool, garden and outside entertainment area. 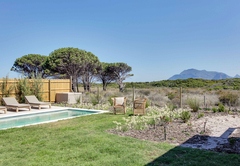 • 24 hour roaming guards. 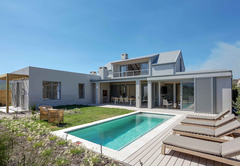 Response timeKlein Slangkop Beach House typically responds to requests in 5-10 minutes.